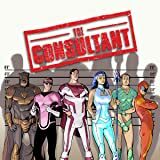 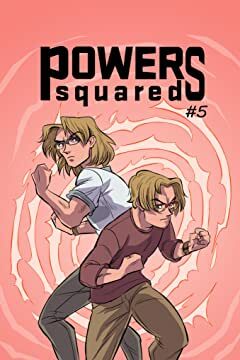 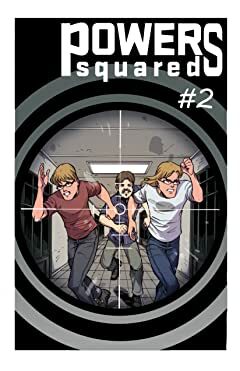 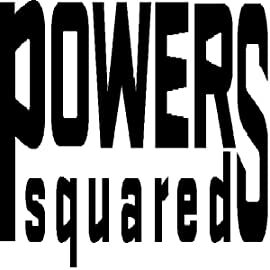 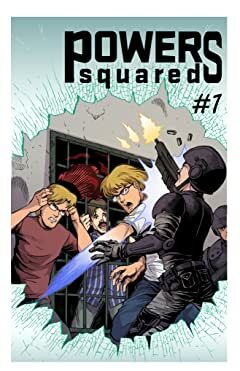 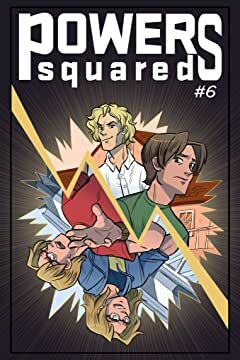 Powers Squared follows the adventures of twins, Marty and Eli Powers, who were granted super abilities when they were seven-years-old by a Kitsune they saved from danger. 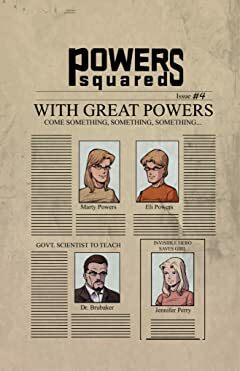 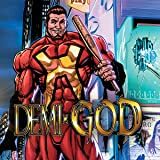 They don't even realize they have these powers until they're noticed by their science instructor at San Romero Community College. 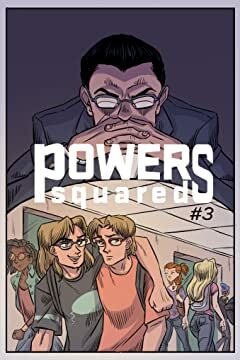 Now, Marty and Eli, two boys who just want to have fun, have to defend themselves, their family and their friends from people who will stop at nothing to control the powers they possess. 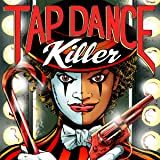 Actress Nikki St Clair was the sweetest gal in the city until she was cast in a horror show musical as the Tap Dance Killer. 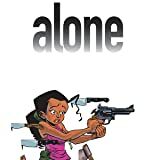 Now, unable to shake the role, this 1920s-esque bizarre mobster assassin is out on the streets dealing damage with a theatrical flair that leaves 'em, quite literally, slain in the aisles!